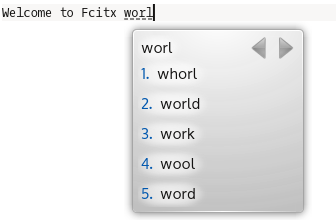 Fcitx [ˈfaɪtɪks] is an input method framework with extension support. Currently it supports Linux and Unix systems like freebsd. 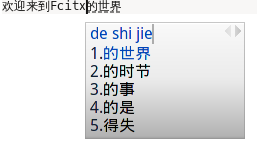 It has three built-in Input Method Engine, Pinyin, QuWei and Table-based input methods. Fcitx tries to provide a native feeling under all desktop as well as a light weight core. You can easily customize it to fit your requirements. This page was last edited on 2 February 2016, at 23:00.